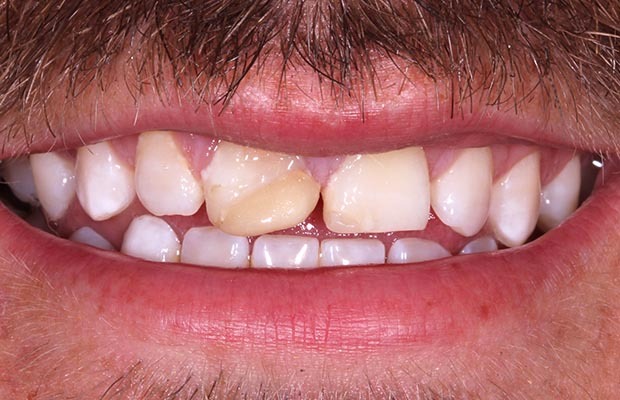 This patient visited the dental practice concerned about his discoloured upper right central incisor. 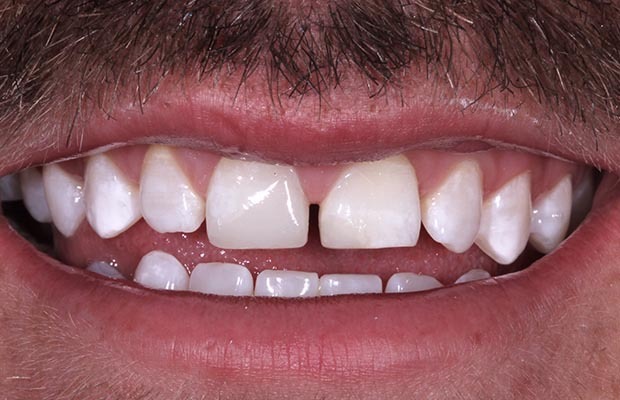 He had experienced an accident when younger and as a result had found the tooth kept breaking as a result. After discussing his options with Hassan Maan, the patient firstly had internal teeth whitening on this tooth. When Hassan and the patient were happy with the shade of the tooth, he then underwent full mouth Boutique Whitening . To complete his smile makeover once he was happy with the final shade of his teeth, Hassan then built up this tooth using composite. A short treatment with results to last a lifetime! Amazing results, and a very happy patient!